We’ve been watching the values of ’70s Trans AMs pretty closely lately and they are clearly on the rise. It’s really not a surprise though, anyone that owned or wanted to own a Trans AM when they were in high school has a reason to want one today. This particular example transcends nostalgia though, as it’s a very special car. You see, it’s one of about 1,300 cars optioned with the high output 455 LS5 and of those is one of the 458 equipped with the M22 4-speed! When it was new, this was one hot machine! Find it here on eBay in Lakewood, California with bidding already over $16k. This car has, well… an interesting look to it. 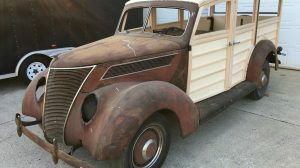 I’m not sure I would call it patina, as the paint is about gone and there are some nasty dings and dents. At least it is interesting to look at though! 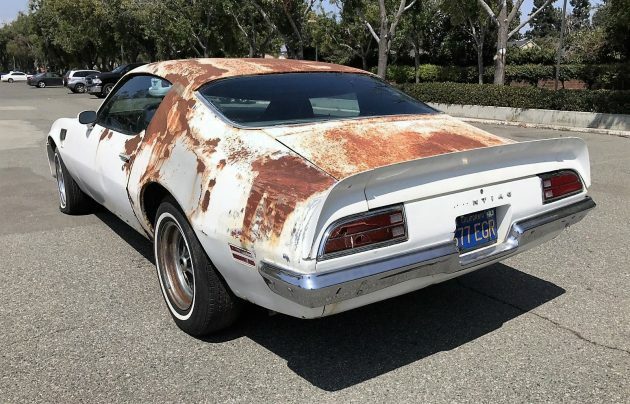 Unless you are willing to grow out a mullet and buy a tuxedo t-shirt to wear every time you drive it, you will probably want to media blast it, repair the rust and paint it. The LS5 455 is a beat of an engine, with a horsepower rating of 335 it will do some serious burnouts. Imagine how cool you would have felt rolling up to high school in this T/A. And if you happened to have been lucky enough to actually get to, I’m only a little bit jealous. I can only imagine how much fun it would be to row through the gears of the Muncie M22 with so much power on tap. This car is going to need a ton of work, but it would be a worthwhile project that will only go up in value. It will be a great opportunity to relive the glory days, real or imagined! I know I’d love to have one of these, but how about you? Well phooey I had a set of 5 of those 15″ Buick wheels and sold them all for $50….with decent tires…..ugh….my luck. My dream Trans Am. If only it was here in the U.K. So special it was well taken care of! Maybe the owner lost interest in it after the ex-wife or ex-girlfriend took the baseball bat to it. I’ve never owned a big block stick-shift car, but I intend to. Something like this would be perfect for converting old snow tires into smoke. Fun for the whole family. Great find, Josh! The 455 is not a big block. Same block as a 287. It just has more displacement. This the same guy that’s selling the 68 Mustang GT that was listed here the other day. 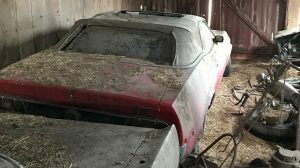 He finds really interesting cars and never has a reserve on his auctions. 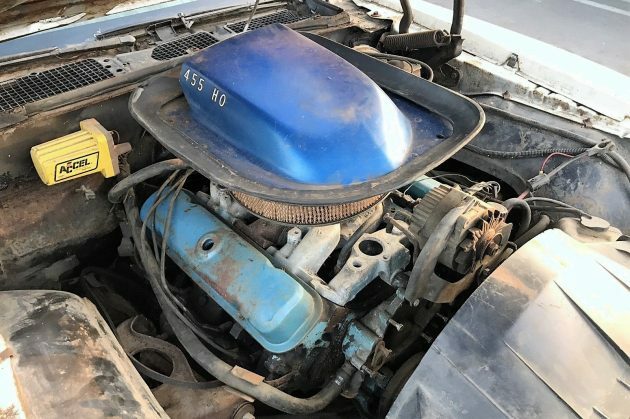 Technically speaking, all V8 Pontiac engines are considered big-blocks, just from the size of the external dimensions. They were never designated as “big-block” or “small-block”. Those terms were originated by the Chevrolet Motor Division of General Motors Corporation, to somewhat simplify and standardize the vehicle platform designs. For instance, if the design team wanted to build a car with either engine designation, the engineering team already had the physical size of the engine. This greatly simplified vehicle design, and shortened the amount of calculations needed for suspension spring rates, frame width, engine bay dimensions, etc. In an effort to keep things even more simple than that, Pontiac designed all their V-8 engines around the same casting. We see too many great cars trashed on this site. If everything else is abused you have to wonder about the mechanical end. Oil changes? Josh, you are close but wrong. The HP was 300 (335 the year before) and that engine was not an option. It was standard and the only one you could get in a TA that year. Todd, we went thru this about two weeks ago. Pontiac never made a big block nor a small block. They made only one block so there was no need to differentiate between bid or small. Its a (max) 1500$ car. Too many parts are missing, or damaged. In today’s dollar, it will take 25-30k to restore it, and you can find perfect examples for that money. Whoever bids 16k on a parts car needs their heads examined. There are at least 15 other people who feel differently since they were willing to bid over your $1500 value. 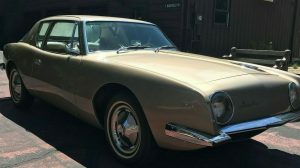 According to the seller they only made about 450 of these cars equipped as this one is. How many of them are still in existence? The law of supply and demand is in effect here. A few hundred for the shaker…. Pontiac Hobby Service (PHS) has this listed as POS. 22k for this?? Wow. I bet there’s at least 40k needed in work. 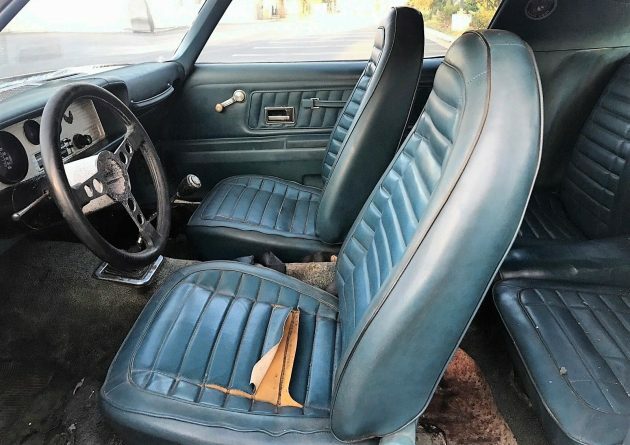 The interior of this car is actually not as bad as I was thinking it would be. 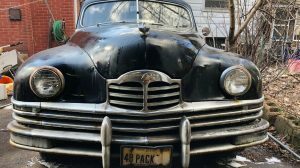 I think the writer meant to say “beast” of an engine, but that one is surely “beat.” As far as how unusual the 15″ Buick rally wheels are….come to Tennessee! They are all over the place including on my neighbor’s double axle trailer. That’s what started it for me. Clearly recall that movie car. The manager of the jewelry department of a store where I worked during high school had one of these. He made a point of filling me in as the engine was being balanced and blueprinted. 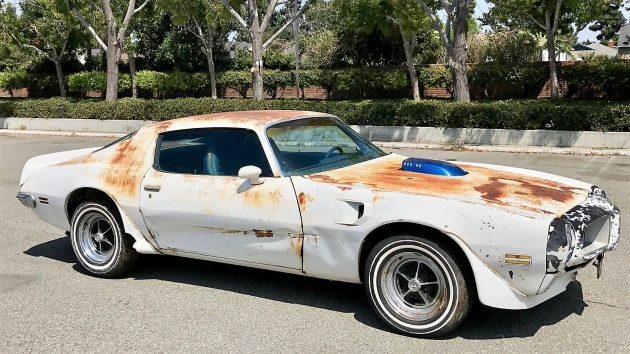 That particular model of Trans Am always looked best in white and blue with the honeycomb wheels; in the same way that the ’77 Trans Am looked best in Bandit Black and Gold.